I am not gonna lie…I am slightly obsessed with the celebrity world. Maybe it is because I know I will never actually BE a celebrity and the fame, money and clothes (oh the clothes) fascinate me. And I have my fair share of celebrity crushes…don’t you? 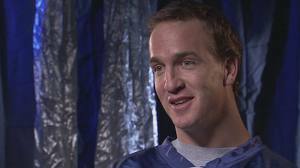 And the last and most important..dun dun dun…my all time MAN crush: Peyton Manning! I love hearing who other people crush on…so tell me some of your celebrity crushes? LOVE felicity! great choice. Ok, Keri Russell…whatever. And Taye Diggs. Another great one. Love Kerri Russell, and Taye Diggs, Mmmm. My girl crushes are Olivia Wilde and Carrie Underwood. I don’t know who Olivia Wilde is…I am going to have to go google her! I like most of your choices! Celeb crushes – Jessica Biel, Kelly from Saved by the Bell, Zach from Saved by the Bell, Bob Harper, Ewan McGregor, Jim Carrey (don’t ask), and plenty more that I can’t think of! Eminem (don’t judge- I don’t understand it either), Channing Tatum, Taylor Swift, and Anne Hathaway. We can definitely still be friends, even if you ARE an Aggie! I have lots of good friends who went to A&M! Oh Girl, I so appreciate the fact that you have included Josh Groban. I think he is such a hunk and super talented–yet all my girlfriends tease me and think I am crazy…well you just affirmed it all for me: Josh is a cutie pa-tootie! I think I’ll copy you and do this on my blog soon – so fun. Mine change…I get obsessed with somebody when I see them in a movie/TV show and then it fades. But my all-times are still David Beckham and Mark Wahlberg. And you know my all-time girl – Mariska Hargitay – LOVE! Current hotties – Alexander Skarsgard and Cory Monteith!! Everytime I see a Law and Order SVU preview I ALWAYS think of you!! I can see why you like Peyton Manning. He DOES resemble Keith a little bit, don’t you think? Shape of his head and hair color… yes, I think so! 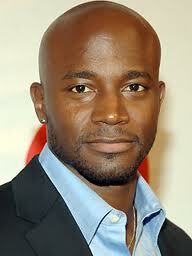 I have always had a crush on Taye Diggs! He is just so good looking. I have a thing for Eminem (because Im still 16 on the inside) and Ryan Reynolds. Ok – I also find Adam Sandler and Will Ferrell unreasonably attractive. Taye Diggs. OH MY GOD. Girl crush is Angelina Jolie (so typical, but she’s a hottie! 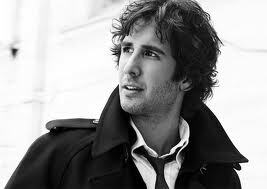 ), foodie crush is Matt from http://mattbites.com/, musical crush is JT (told you I’m predictable! 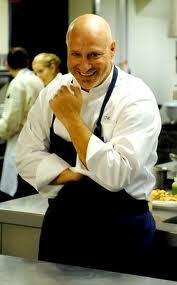 ), and all time crush…. Aaron Rodgers AND Clay Matthews. I can’t choose just one! I LOVE Keri Russell too!! And Taye Diggs…. mmmm. Javier Bardem and Hugh Jackman. Yeah, that’s all I need in life. Of women Uma Thurman it is! Even Colin knows about my crush on Taye Diggs. He is just so flipping handsome. Jason Aldean, Channing Tatum, Lance Moore, Marques Colston, Taye Diggs, Julia Roberts. I need to put Felicity on my netflix que again!